The Retreat March, Heather Grant of Strathyre was composed by Pipe Major James McGregor. James McGregor served as P/M in the Gordon Highlanders during World War 2 and was one of the Royal Pipers at Balmoral for 22 years. He won virtually every major piping award including the Gold Medal at Inverness, the Bratach Gorm, and the Silver Chanter at Dunvegan Castle. He and his family later moved to Tulchan, Glenisla, when McGregor became head deerstalker and piper to the Earl of Airlie. The tune, Heather Grant of Strathyre, was composed about 1975 for the wife of William Grant, a deerstalker and close friend of McGregor. Strathyre is a district and settlement in the Stirling local government district of Scotland. 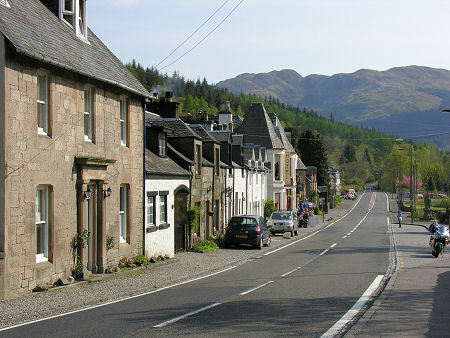 It forms the south-eastern part of the parish of Balquhidder and was, prior to the 1973 reorganization of local government, part of Perthshire. It is within the bounds of the Loch Lomond and the Trossachs National Park. James McGregor also composed The Earl of Airlie, Glen Gelder, Mrs. McGregor, Loch Lubnaig, Miss Judy Morrison, and Tom Speir’s Welcome to Glenalmond.